As temperatures drop and leaves turn warm colors of red, orange, and gold to balance the chill of the air, our collective thoughts turn inward to home and family. We appreciate the bounty of the harvest, the presence of friends and family, and the memories of seasons past. Such is our tradition that we have set aside a national day of Thanksgiving to celebrate and appreciate that with which we have been blessed. 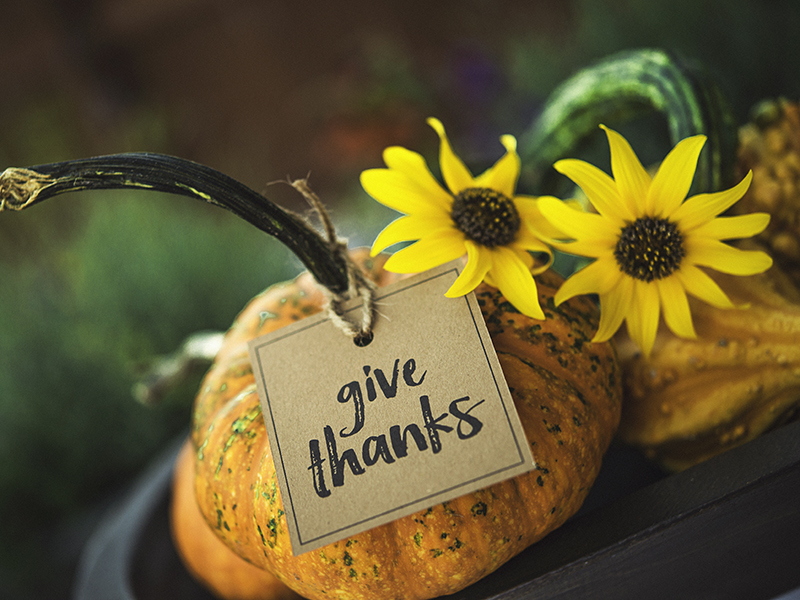 The tradition of Thanksgiving is a gift in that directs our focus to being thankful at least once a year; the downside is that we often are so distracted with living life that we forget to be thankful every day. We are caught up in the details of the holidays – the food, the decorations, the football, the travel – that we lose sight of the little things we can and should be thankful for every day. As the holidays approach, we can appreciate all these things and more. The challenge we have is to spread thankfulness and joy to those who share our days but do not get to share their daily lives with their loved ones. We can be instrumental in making the coming holidays, and every day, special. Let us make it our goal this year to share thankfulness with the residents and coworkers who give our jobs and our lives meaning. Ask a senior to share a good memory or a funny story. Offer an ear or a shoulder. Give heartfelt compliments and encouragement to seniors and coworkers. Thanksgiving is more than just a holiday with food; it is an act we can perform and facilitate every day to improve the lives of our residents, our coworkers, and ourselves.